An SEM image of the metacorrector. The refractive index of each nanopillar can be tuned and controlled so that all wavelengths are brought to the same focal point. (Image courtesy of Harvard SEAS). Today’s optical systems — from smartphone cameras to cutting-edge microscopes — use technology that hasn’t changed much since the mid-1700s. Compound lenses, invented around 1730, correct the chromatic aberrations that cause lenses to focus different wavelengths of light in different spots. While effective, these multi-material lenses are bulky, expensive, and require precision polishing or molding and very careful optical alignment. Now, a group of researchers at the Harvard John A. Paulson School of Engineering and Applied Sciences (SEAS) is asking: Isn’t it time for an upgrade? “Our metacorrector technology can work in tandem with traditional refractive optical components to improve performance while significantly reducing the complexity and footprint of the system, for a wide range of high-volume applications” said Federico Capasso, the Robert L. Wallace Professor of Applied Physics and Vinton Hayes Senior Research Fellow in Electrical Engineering at SEAS and senior author of the paper. “You can imagine light as different packets being delivered at different speeds as it propagates in the nanopillars. 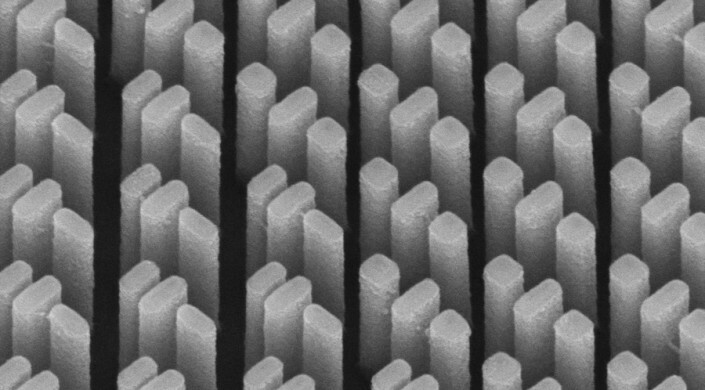 We have designed the nanopillars so that all these packets arrive at the focal spot at the same time and with the same temporal width,” said Wei Ting Chen, a Research Associate in Applied Physics at SEAS and first author of the paper.